Heather Dominick is the creator of the EnergyRICH® Success System for Entrepreneurs: the essence of her years of education, energy and intuitive training, as well as marketing and sales tools. Heather uses this proven step-by-step system to coach entrepreneurs by creating an energetic map to harness their energy once and for all. Her coaching philosophy is that an individual cannot “do” business, but needs to BE business at a holistic level that integrates thoughts, feelings, words, and actions. She calls this managing your energy. It's important that an entrepreneur do the inner and outer work necessary to activate this skill and belief in them. Only when you have activated this in you, can you fully and confidently present yourself and your business to others, the world. That is what is at the heart of assisting individuals in creating magnificent marketing for their businesses. A celebrated dynamic speaker, Heather has motivated hundreds of women to build enough self-belief to achieve what seems to be impossible. She delivers influential keynote addresses and seminars on spiritual business practices to organizations and associations and consistently receives feedback about how her presentations not only amplify audience’s energy levels, but moves them into action. 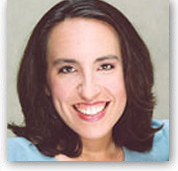 She has been a sought after presenter for numerous organizations, including Con Edison, Transformation U, The Chopra Center, Pace University, and various coaching associations. A confident and from-the-heart individual, Heather has been interviewed for numerous on and of-line publications and her writings have appeared on websites and in magazines, including WorkingWomen.com and For Her Information. Heather has more than 12 years of teaching and coaching experience in helping entrepreneurs have an authentic, energy-minded business simultaneously structured for more daily joy, service and bottom line profits.